Looking for Canary Wharf immigration Advisors? 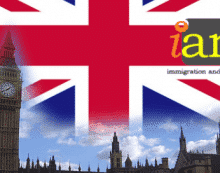 IAM (Immigration and Migration) is a professional law firm created to help busy professionals in the city. It is situated within a few minutes’ walk from Canary Wharf station to give employees working in Central London the chance to have a consultation during lunch or after work.